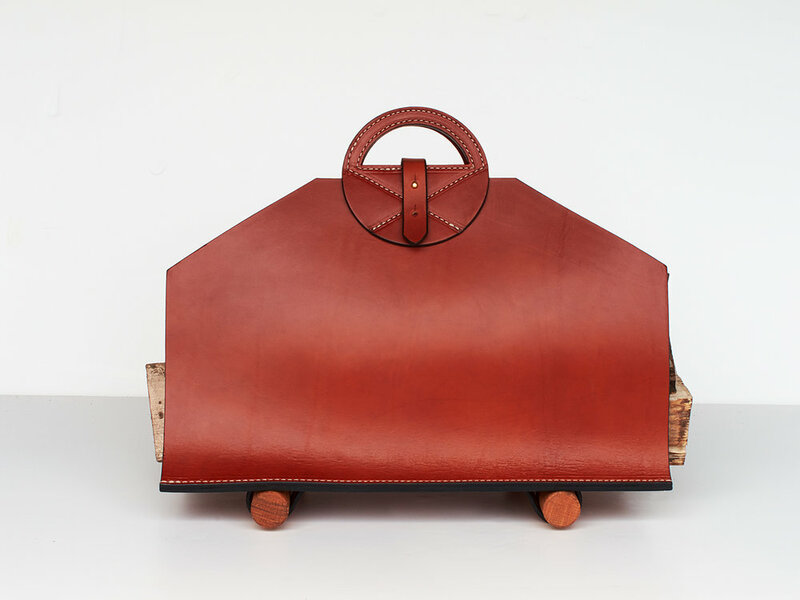 The Fern Firewood Carrier is made from heavyweight saddle-grade leather sourced from the finest American cowhides. It features a turned white oak base with leather looped feet. Whether filled with firewood, magazines, books or empty – the design allows the carrier to remain upright at all times. Because of it’s substantial construction, the carrier can easily hold and transport heavy loads. Dimensions: 20″L x 19.5″H x 12″W. Available in Chestnut, Tan, Oxblood and Burgundy. Approximate lead time of four weeks. Available for purchases in our Online Store.